This year, for the first time ever, PEPANZ have invited us to the petroleum conference. Every year New Zealand hosts this conference to discuss the oil and gas industry’s future. But the problem is, oil and gas don’t have a future. I’m writing in regard to your invitation to attend the 2017 Petroleum Conference, taking place in Taranaki this March. 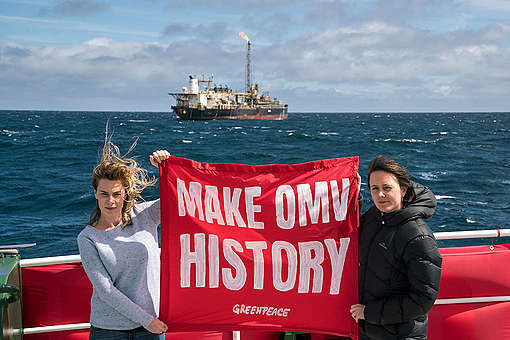 I appreciate that this must be a significant step for PEPANZ, as it is the first time that Greenpeace has been formally asked inside the conference. We understand that by inviting Greenpeace, you are hopeful that we may be able to engage in a dialogue about the role that oil and gas should play in our future. Our issue with this is fossil fuels like oil and gas have no place in our future. If we are to pass a stable climate to our children, we must rapidly phase out fossil fuels. We’re at a point now where not a single new coal mine, oil well or gas field can operate if we’re to have a chance of avoiding a climate catastrophe. In fact, we can’t afford to burn the majority of the already discovered fossil fuel reserves. Already we’re starting to experience extreme droughts, floods, and rising seas. Here in New Zealand, the impact of climate change is set to wreak havoc on our farming sector, critical infrastructure, native forests, endangered wildlife, health and food security. This is no longer an issue for future generations to deal with. It’s happening right now, and it’s happening to us. It is our moral responsibility to stop it. 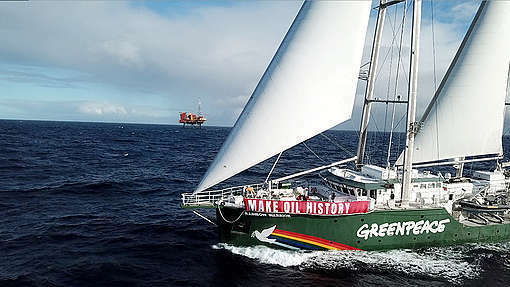 Environmental organisations like Greenpeace have tried to constructively engage the oil industry in dialogue for the past 40 years. There have been decades of opportunities to work together to adapt to the reality of climate change and transition to clean energy. But what the oil industry has done in that time is worse than nothing. Around the world, oil corporations have actively funded climate science denial and lobbied governments to protect the industry at the expense of protecting their own citizens. Just like the tobacco industry. And it’s all been done behind closed doors. 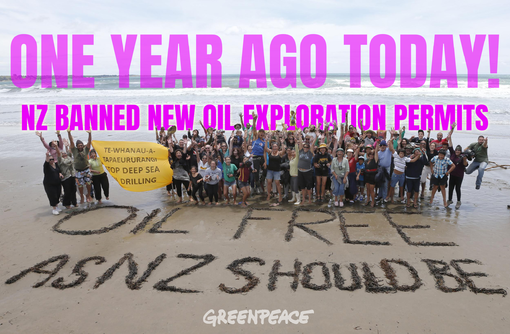 We don’t see what can be gained from us sitting behind the closed doors of the Petroleum Conference in Taranaki, listening to international oil representatives and the Government make plans to dig more climate cancer out of the ground. To move forward, the doors need to be opened. Greenpeace is open to discussing these issues with you in a setting where members of the public are also able to attend and participate. We would be more than happy to work together to organise this. It is a critical moment in human history. On the one hand, the world is starting to take real climate action. Governments have signed an unprecedented agreement to tackle climate change, and renewable energy now represents more than half of the world’s new power capacity. But on the other we have seen the election of the Fossil Fuel President of the USA, who has a vested interest in oil companies and an oil tycoon as his Secretary of State. Let’s have a public debate at this important juncture.